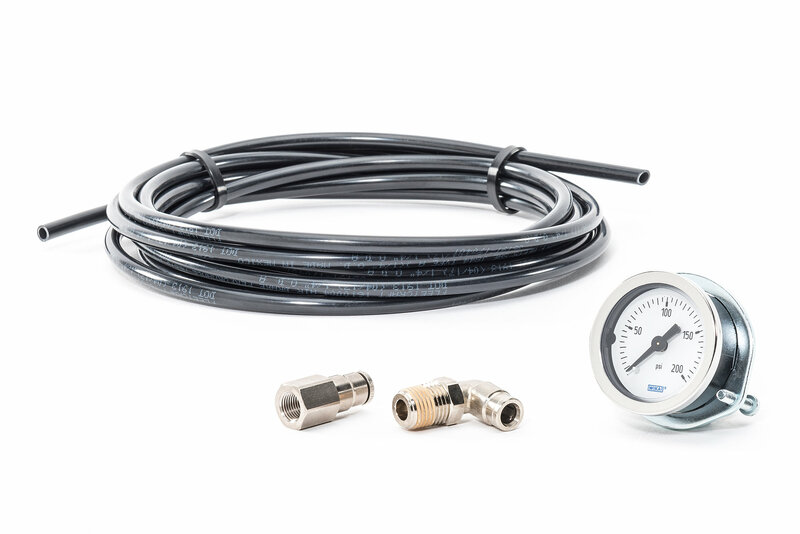 This kit contains a gauge to monitor air pressure and everything needed to install it. 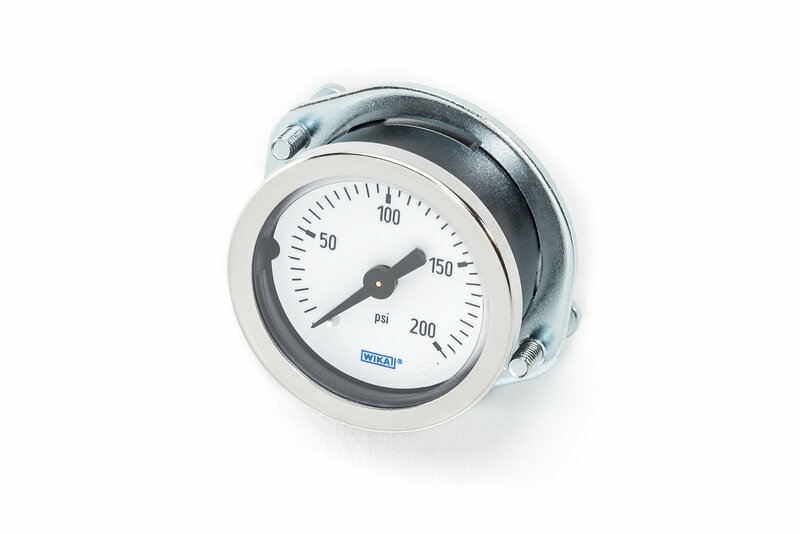 The gauge is a basic pressure gauge without a back-light or liquid filling. 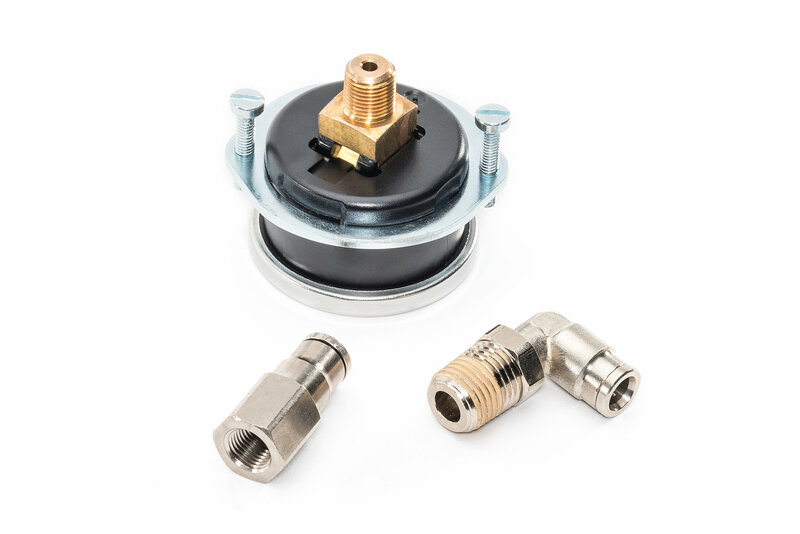 It has a 1/8" male NPT fitting in the center of the back side.